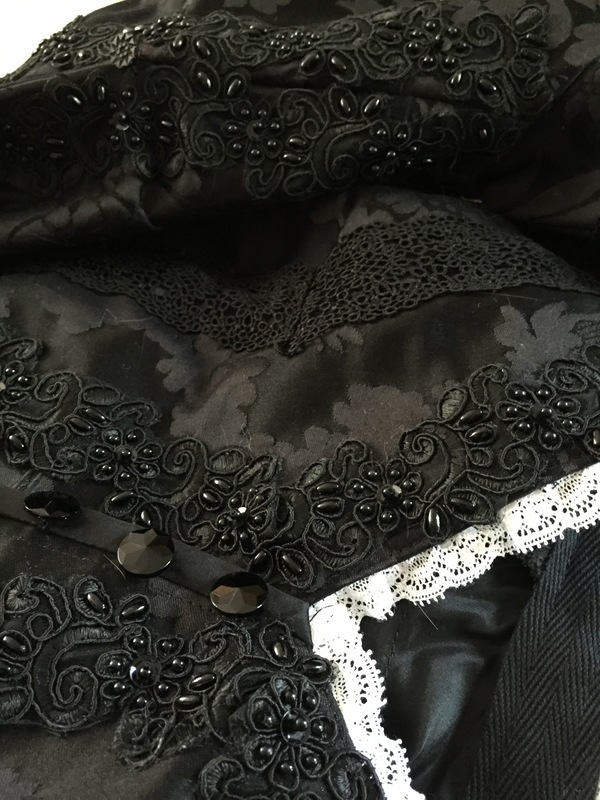 This one was a very exciting commission – a friend who often works as Queen Vic needed a new corset.. and a new bodice and a train to go with the skirt she already had. 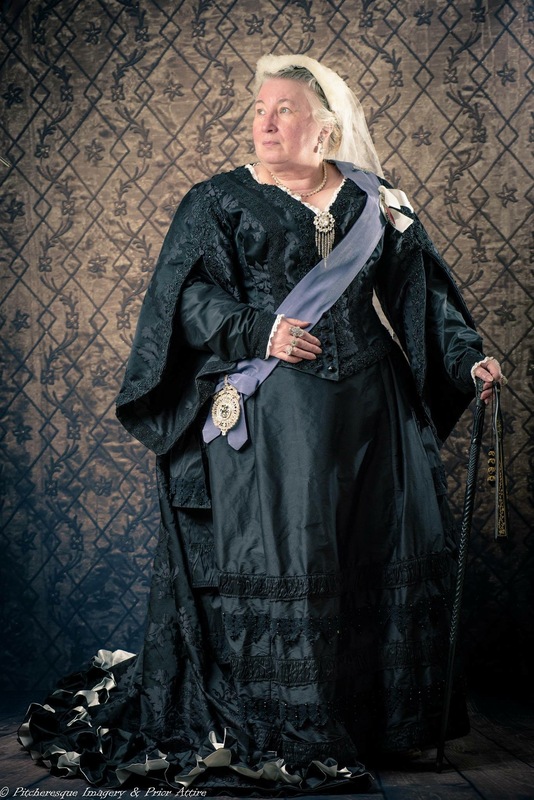 Fabric was next – and here we were lucky as got a length of beautiful silk brocade from Quartermasterie – all that i need to grab was silk taffeta for lining and pleats and some lace and buttons…. 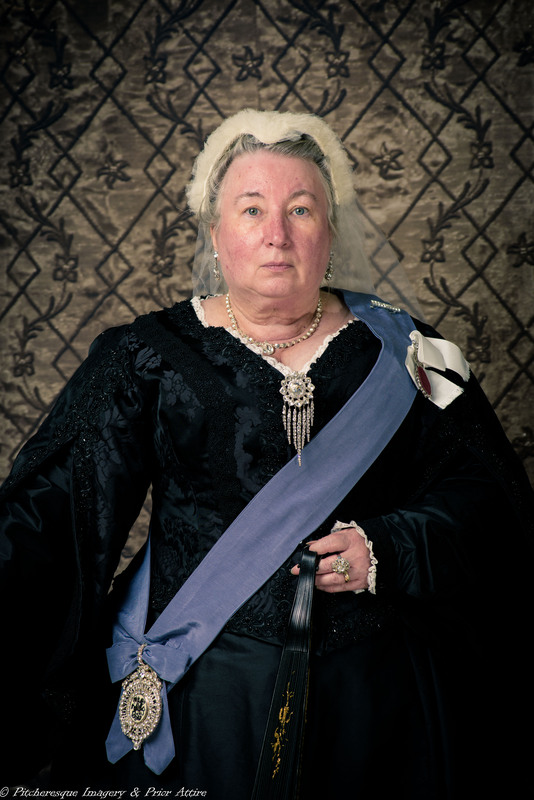 Bodice was a lovely blend of the 1880ties and earlier fashions – sporting a version of pagoda sleeves, apparently quite a favourite of the queen. we also added detachable under sleeves, for colder days . The lace was simply lush, though applying it took some time, and the underside of the pagoda sleeves was also trimmed with lace, a more modest version. The train was just fun. 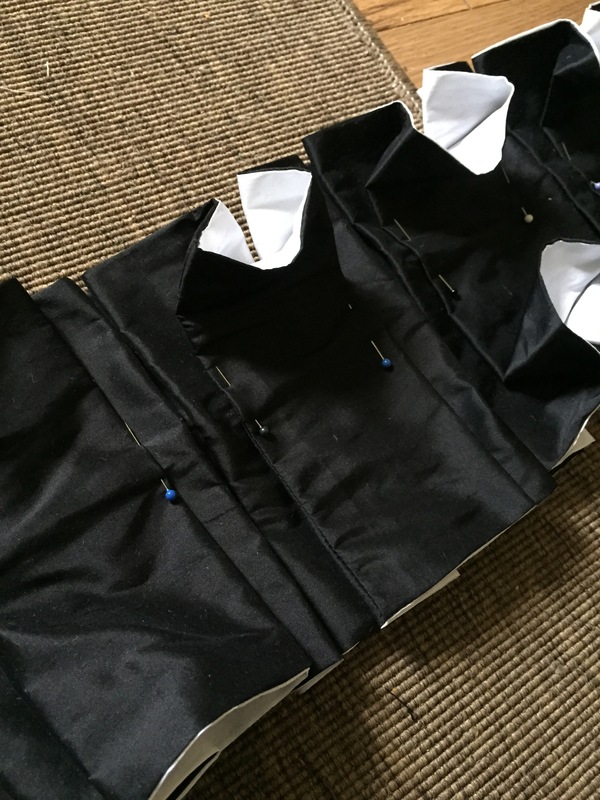 The construction was simple – a slightly shaped rectangular fabric, plasted and with tapes and buttons to allow the wearer to bustle to up if needs be. 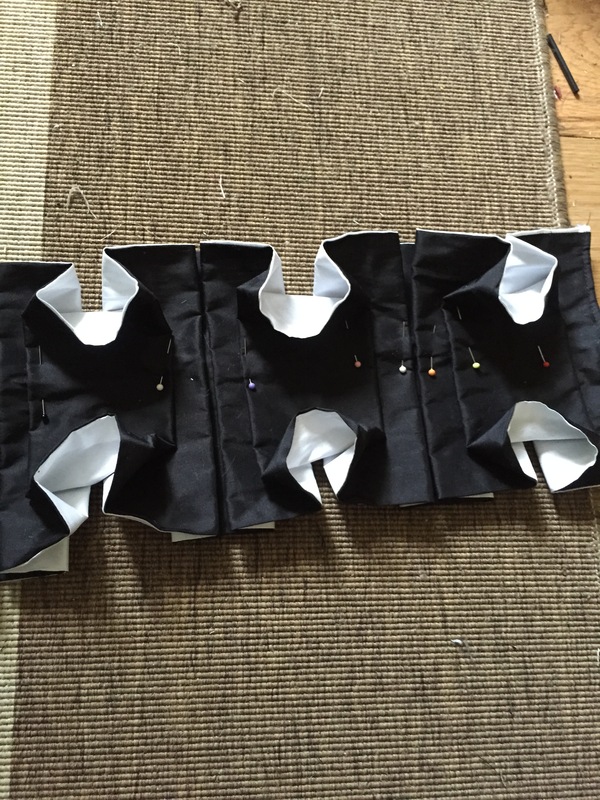 But it was recreatingthe pleated trim from one of the original photos that was interesting…. 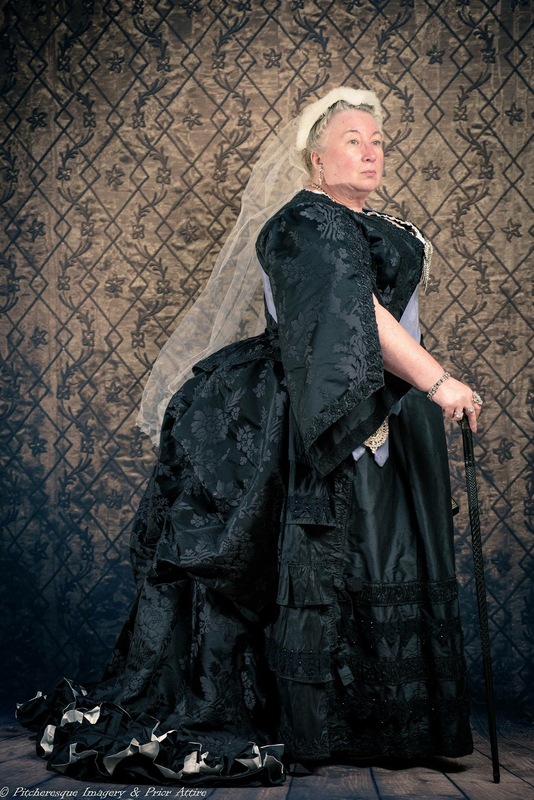 The train has a baleyeuse ( the dust ruffle) made of black cotton lace buttoned up – they were a truly delightful frilly affairs that made life so much easier – you wash only the ruffle as your skirts are protected. 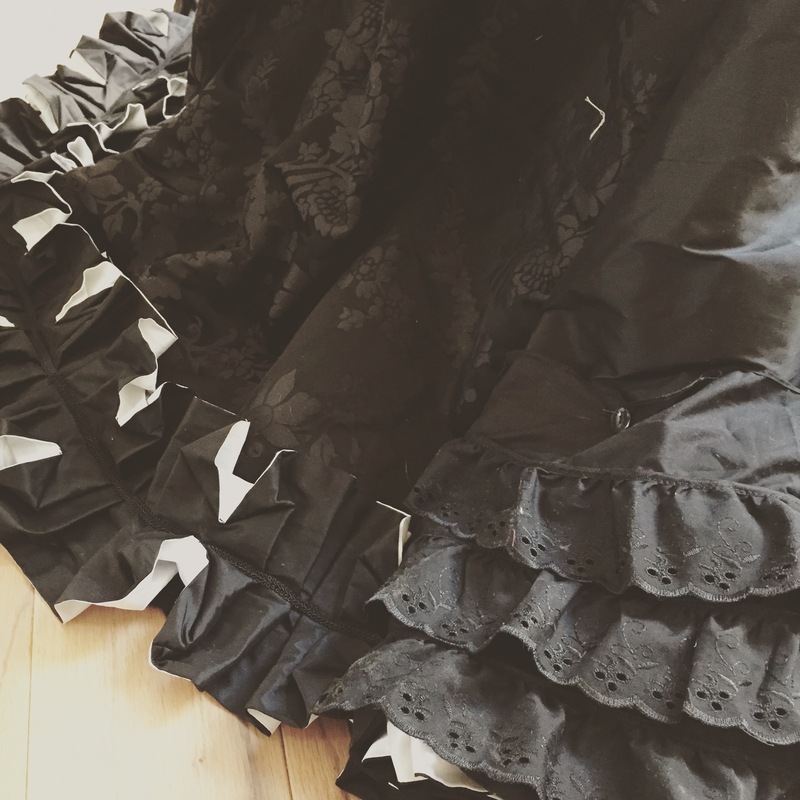 The combination of different black fabrics is just amazing! It gives it all a very lovely texture, too. Oh, that is just gorgeous! Wow . . . just WOW! What a treat to be able to work with that beautiful fabric and trims. This is amazing! I love the detail of the lace and the dust ruffle. 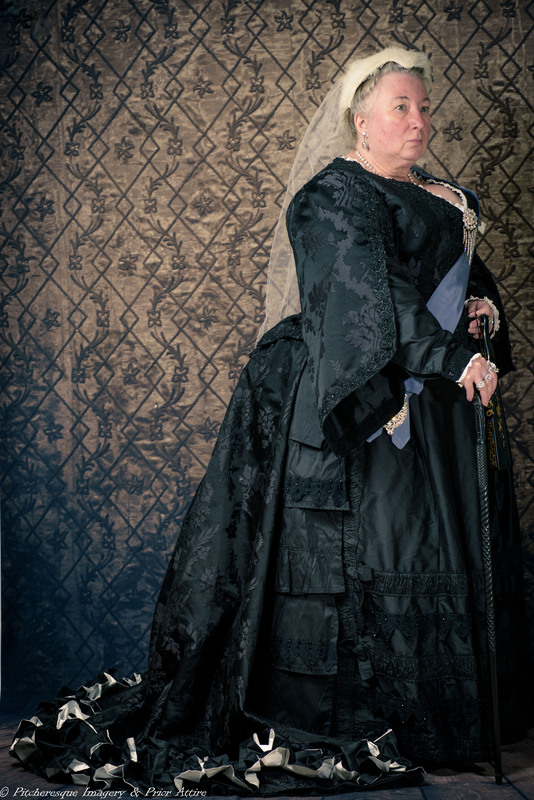 The historical features really make this dress and she is so easily recognisable as Queen Victoria. What a great project to work on!